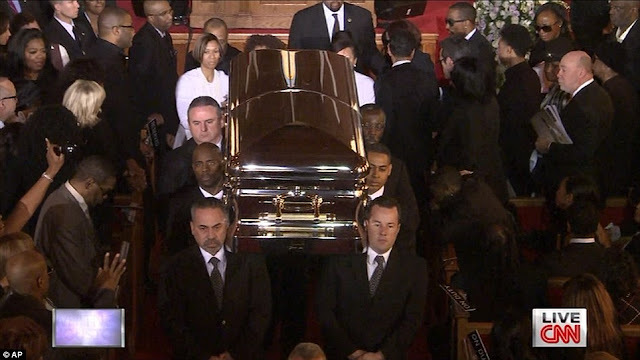 I spent a good number of hours today watching the live broadcast of Whitney Houston's funeral service. 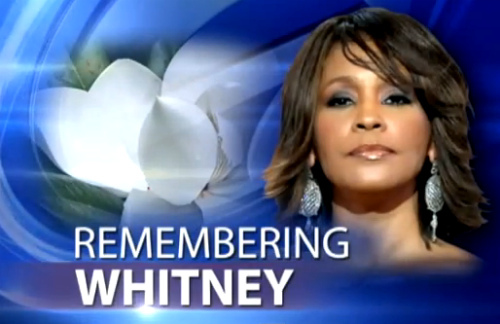 As we all know and have been saddened by, Iconic Singer and Actress Whitney Houston passed away exactly a week ago. According to reports, Houston was found lifeless in the tub at the Beverly Hills Hotel, hours before she was supposed to attend her mentor Clive Davis' pre-grammy party. Result of the autopsy is yet to be released. Yet, 'many' speculate an overdose was the cause of death. 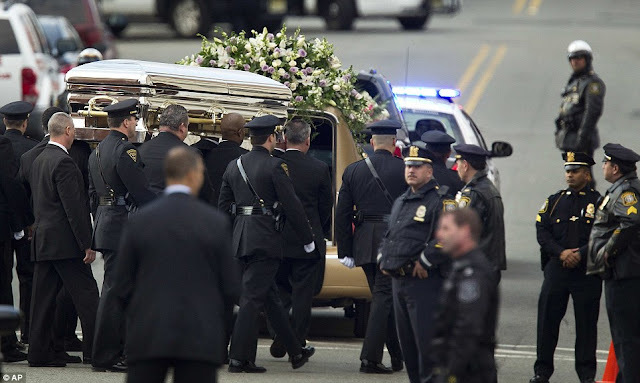 I don't want to be counted as those "many" because I tell you, just like her funeral service today, this post is not about Whitney's struggles with drugs. Its not even about her as the star we all know. Its about the "person" lost...Whitney as a daughter, mother, sister, and friend. 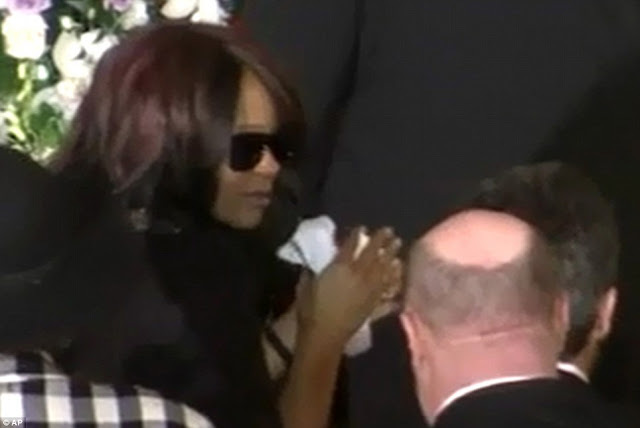 Whitney as "Nippy" as her close family and friends called her. 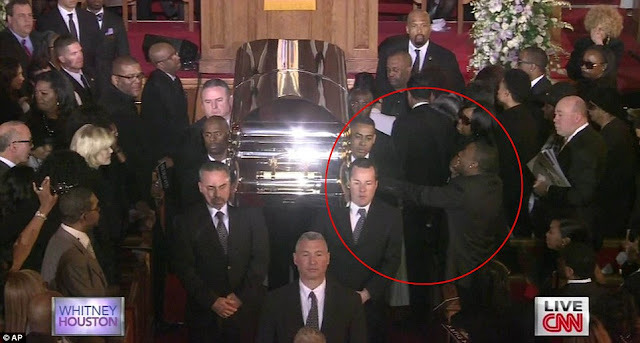 The remarkable thing about the funeral today was that it highlighted the fact that after all is said and done, in the end it is all about Jesus. 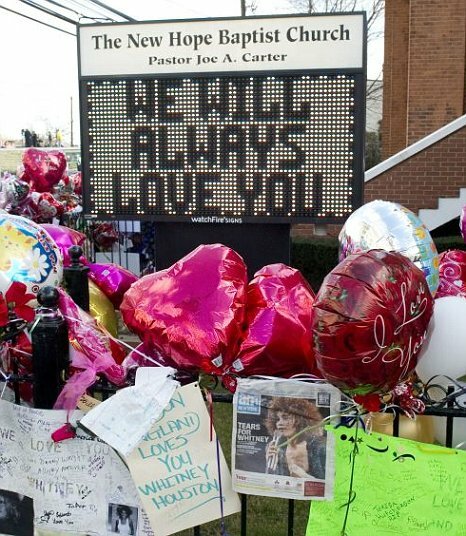 I was impressed that Cissy Houston, Whitney's mother decided to hold the service at Whitney's childhood church in New Jersey, where the singer sang her first solo as a teenager. 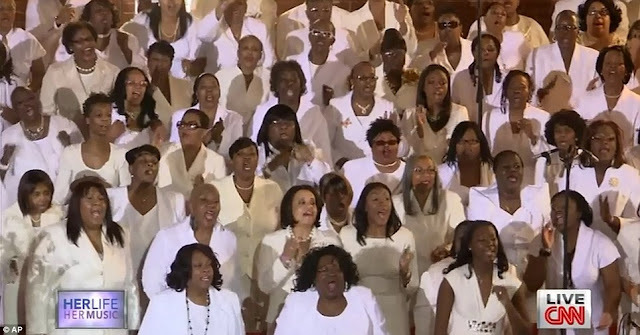 It was an impressive ode to Whitney who despite all her troubles, always paid homage to the church as her roots. 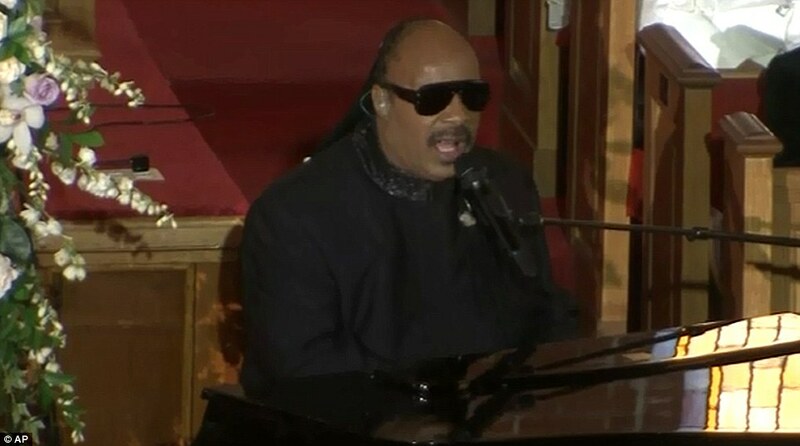 As expected, the invite-only event was star-studded with Oprah Winfrey, Brandy, Chaka Khan, Ray J, Jordin Sparks, Jennifer Hudson, Kim Burrell, Jesse Jackson and Roberta Flack in attendance .....There were a few touching speeches and performances inclduing that of Bebe Winans, Stevie Wonder, Cilve Davis, Alicia Keys, Tyler Perry, R Kelly (who by the way looked sooo fresh and soo clean :-)) and Cece Winans but there were two special highlights for me. 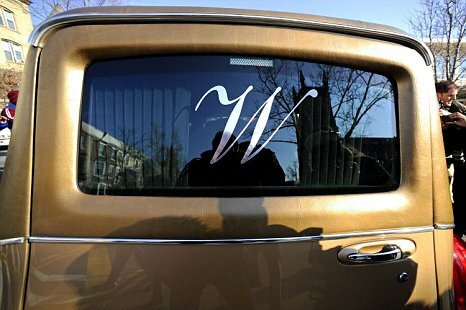 "The Whitney I knew despite her fame always wondered 'Am I good enough? Am I pretty enough? Will they like me? '....it was a burden that made her great, the burden that caused her to stumble in the end...All those girls who are dreaming that dream or maybe thinking they are not good enough, Whitney will tell you, guard those bodies, the precious miracle of your own life....Whitney, if you could hear me now, I would tell you, you weren't just good enough, you were great....Off you go Whitney, off you go. Escroted by an army of angels to your heavenly father. When you sing before Him, dont you worry. You'll be good enough." Incredibly touching and inspirational if you ask me. The second and more significant highlight for me was the Eulogy given by Pastor Marvin Winans. He started off by saying... "I want to thank mama Houston, Cissy, for your willingness to forget about everything else and to have this service here....That took a lot of courage. 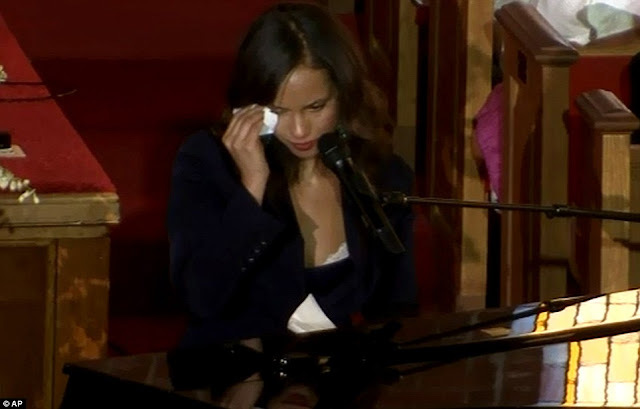 And because of that, you’ve brought the world to church today". Yep! "There's a misconception that living a life for God is boring...Faith always expects and faith always moves towards its goal.....Don’t think that the church is for people that have no hope....The devil wants to use your circumstance against you by making you anxious when things don’t happen on your timetable.....Jesus is saying I don’t want you to become anxious about life.....I don’t want you to feel that life has happened without purpose. God works all things after the council of his own will. You are not a mistake. You are not a mishap. God had a purpose before he ever created a person.....When people look at the bible, they look at it from the wrong perspective. This is the owners manual...so that you can get the best out of your life......I want us to recognize that our faith in God is not something that we attach to the end of our lives, but that we must prioritize....You make your decision based on your faith. You walk according to what you believe. You can never say yes to God and have God make you a stranger.....You can never put God first and think that God will forget you and leave you." 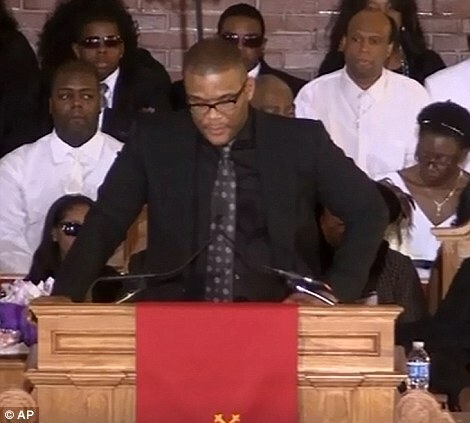 The service was incredibly inspirational. 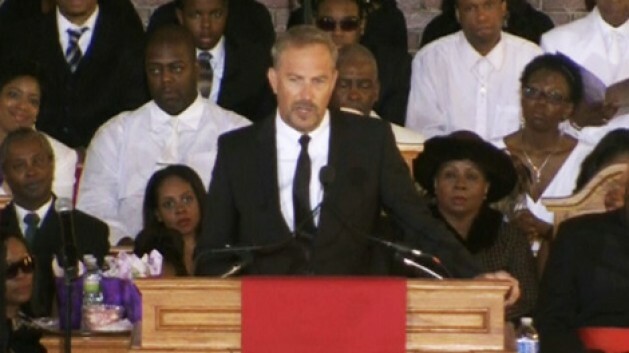 I loved the fact that all those who got a spot on the podium knew Whitney personally. 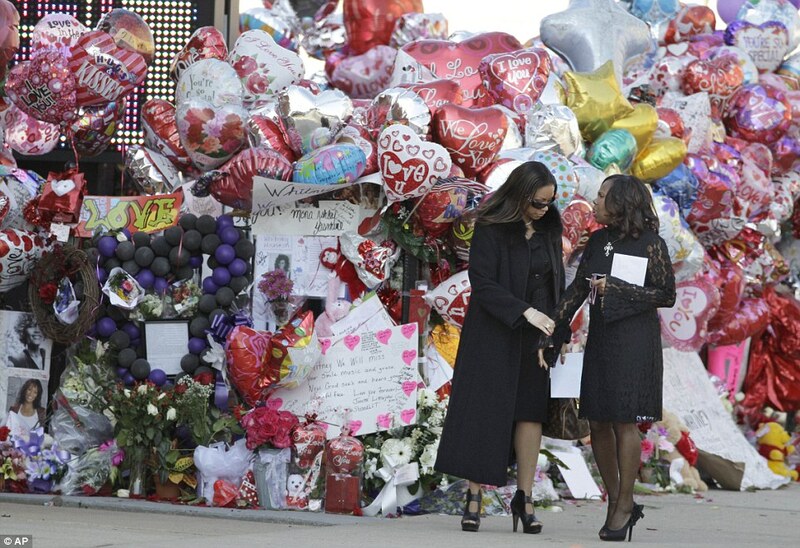 You could tell those who spoke, spoke from the heart and knew her personally. Loved every bit of it. Incase you missed it, you can watch some of the highlights here and here. The lesson we all need to learn is that we have to realize that there is a need to love Jesus and each other NOW and not later. As is human nature, praises are sung only after a person is without breath. 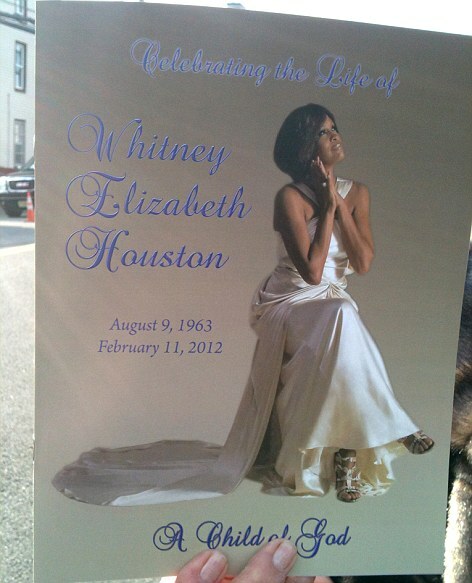 Ofcourse, I don't know Whitney personally (iWish)...that's why this post is solely based on the words of those who did. It is only after a person dies that it is suddenly remembered just how much we love and appreciate them. With each death, its the same story...there's wailing, then the "i love(d) you"s, the "i miss you", the "what a great person s/he was"s, "I repent"s....then days turn into weeks and weeks turn into months and months turn into years...then we forget...and go on living, like nothing happened. Well, until the next death. How many times do we need to be reminded? 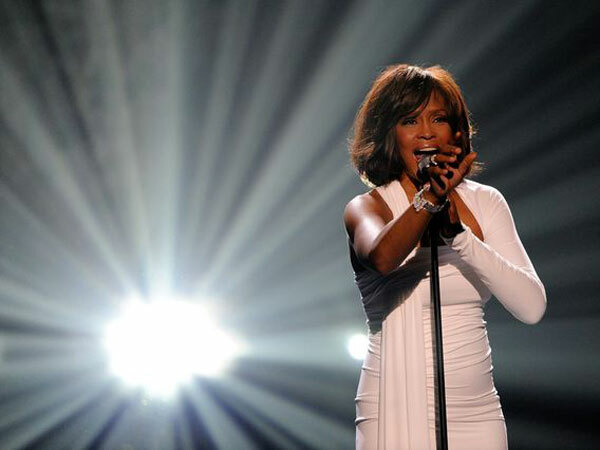 Rest in Peace Whitney...Your music lives on.